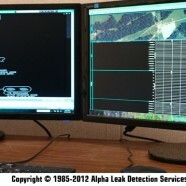 Let Alpha’s professional engineering solutions and models help you accomplish your company’s integrity management goals. We specialize in A/C Mitigation and Cathodic Protection as well as other corrosion control design services. Our NACE certified corrosion engineering team will provide you with precise designs through the use of our CAD software. Our engineers will provide design recommendations for materials, coatings, and cathodic protection systems that will be placed in project design in the early stages. Our team will then develop design specifications, modules, and installation details that will have coating requirements, construction, cathodic protection recommendations, and corrosion monitoring units. This will include material list and recommendations, installation protocols, recommendations for commissioning, testing with approved documentation with strict guidelines followed by government regulations and NACE SP0502 practices. Once all of these standards are placed we shall propose a technical bid to our customers.